What is the “magic future”? Listen up! It’s number nine and you’ve got a one-way ticket to ride. Our treat. This time, we talk about summer vacation, holding down the fort, social-not-working trends, as well as get some valuable listener feedback. Extra special thanks to our talented audio engineer, Steven Reines, for keeping us on track. Additional thanks to @annmarietv for asking all the right questions. 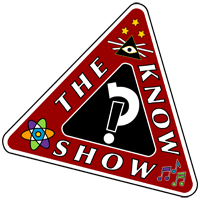 E-mail us or call us at (707) 901-SHOW with any questions or just to say “hi!” We just might reply on the next show!